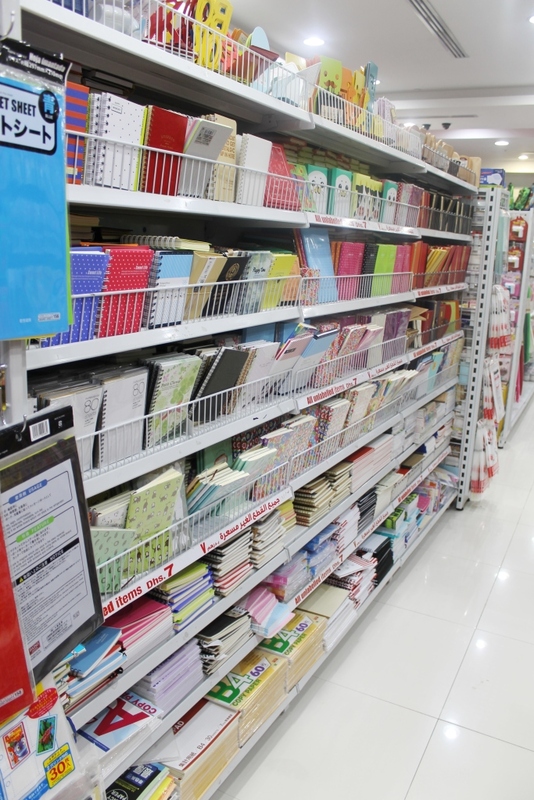 Last week we headed down to Daiso, the super affordable Japanese specialty store, to check out their Back to School supplies, and grab a few necessities for our household. 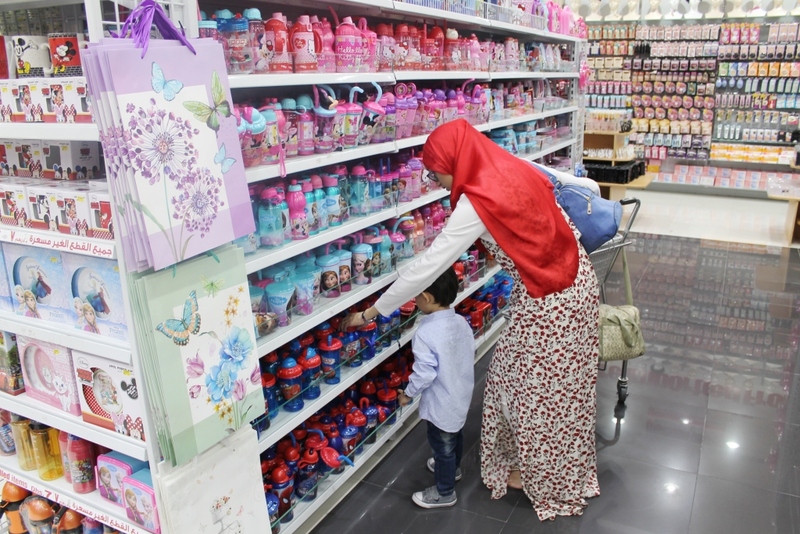 We opted for the huge store in Oasis Mall and didn’t know where to begin! 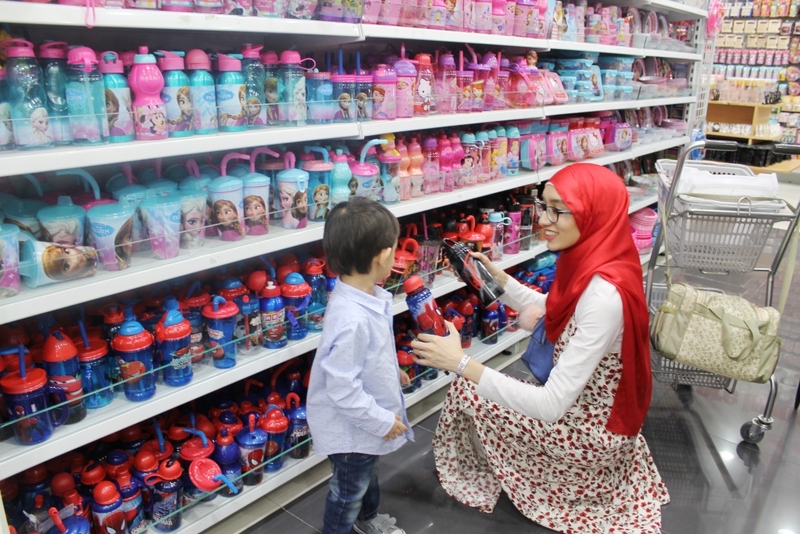 Baby Z was rather spoilt for choice when asked to decide on which water bottle and lunch box he would like. We could have spent plenty of hours doing so, but he finally settled on the Lightning McQueen Cars theme. He already has the Spiderman collection at home, you see! There are also sets with plates and cutlery, all bright and colourful with the latest character obsession such as Elsa and Anna from Frozen. We grabbed a set of the same car themed plate and cup, and he has been so excited to have his lunch and dinner from it ever since. 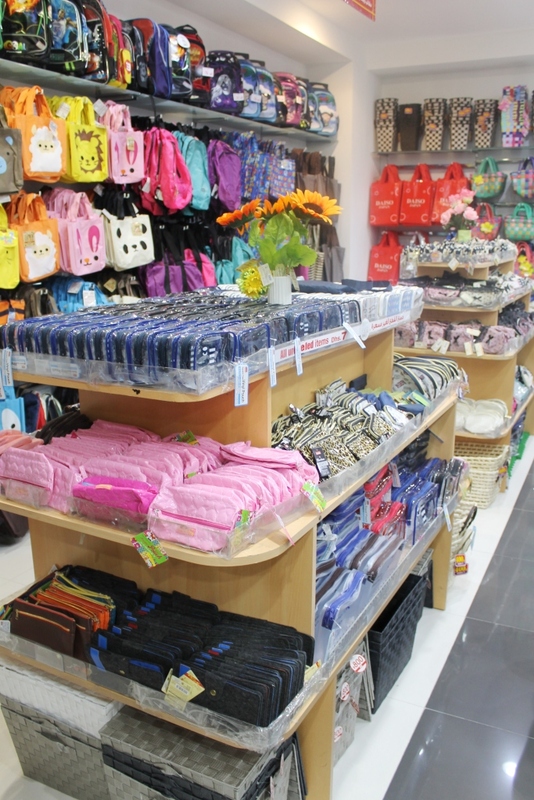 Daiso also has a huge collection of bags, small and big, as well as wallets and pouches to keep smaller items in. 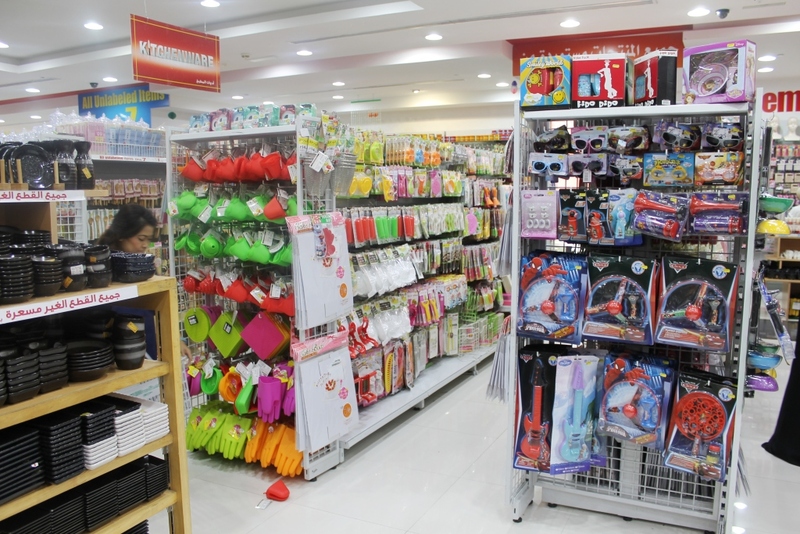 Again, they have these items in all sorts of colours, shapes and sizes, as well as cartoon characters, so you are bound to find the perfect one for your child. 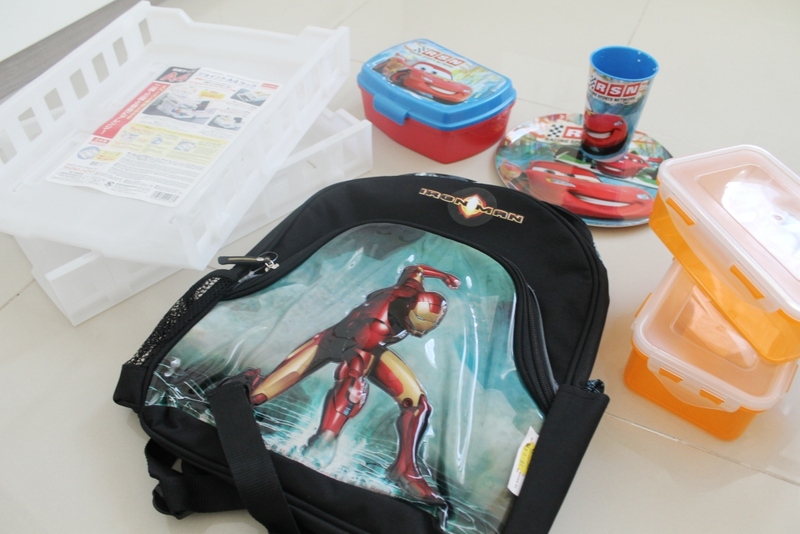 The Iron Man backpack with lots of pouches within was the winner for us, as I wanted something with lots of different sized storage pouches to store various items in. Next up came stationary, and again there was such a huge variety to choose from, including pens, markers, notebooks and whiteboards. The list goes on! I grabbed a few filing systems to store Baby Z’s work in, since we have been doing plenty of painting in the summer and I am running out of space to store it all in. (I just don’t have the heart to throw away his precious scribbles, even though his Elephants look more like worms!) I also grabbed a White Board with a magnetic back to stick on the fridge, for those all important shopping lists! I loved that they also had whiteboards with colourful outlines for kids to doodle on. To be honest, I could go on and on about what I found at Daiso. Their products come in handy in all matters of the house including (but not limited to) kitchen, garden and decorative items. 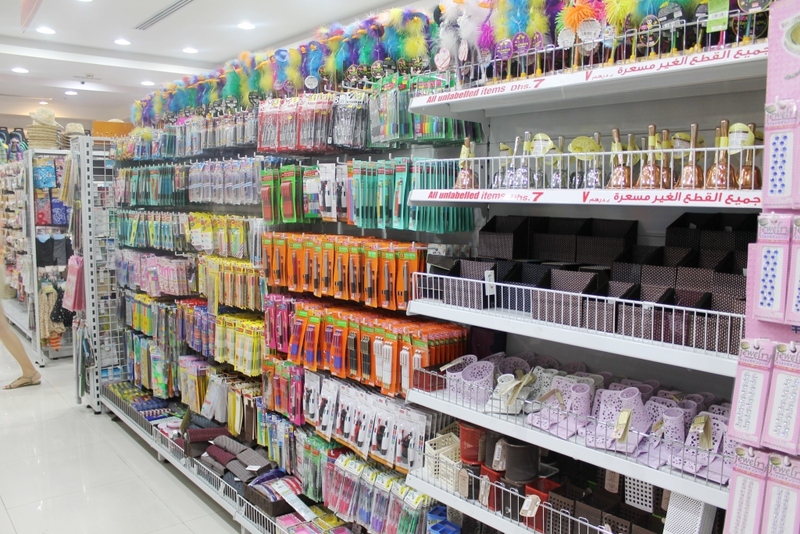 Daiso also always inspires me to do plenty of D.I.Y projects as they have a great collection of craft supplies, so if you are in need of ribbons, heart shaped hole-punchers or paper flowers, you need to check out your local Daiso store! 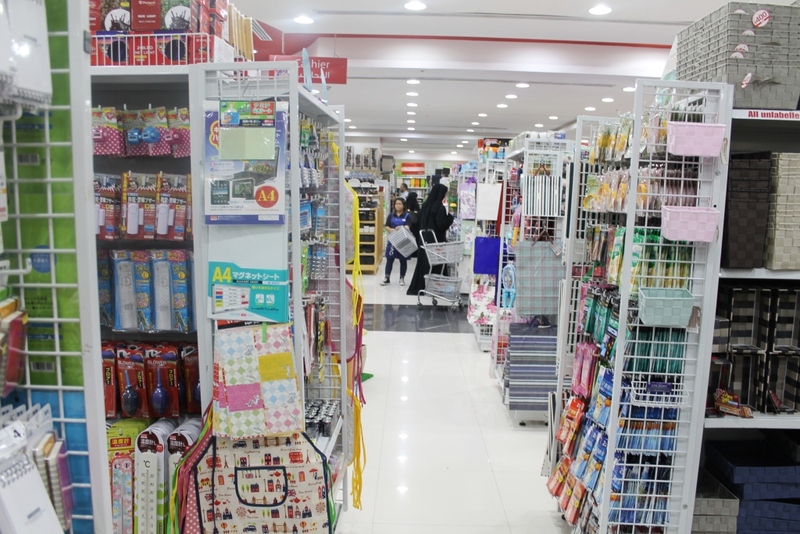 The best part about shopping at Daiso is that a little goes a long way! 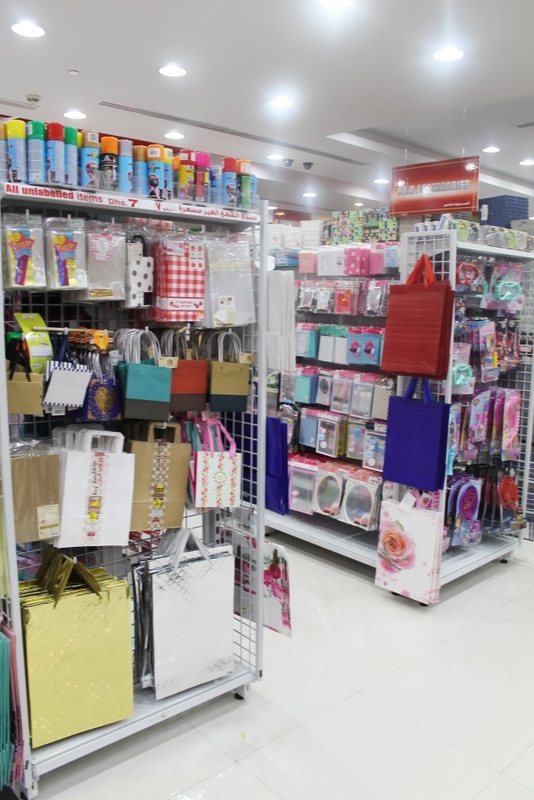 All unlabeled items in the store cost only AED 7, and other items are also reasonably cheap, which means that with just a few notes in your pocket, you can get a great deal of things from Daiso! More for my money, yes please! 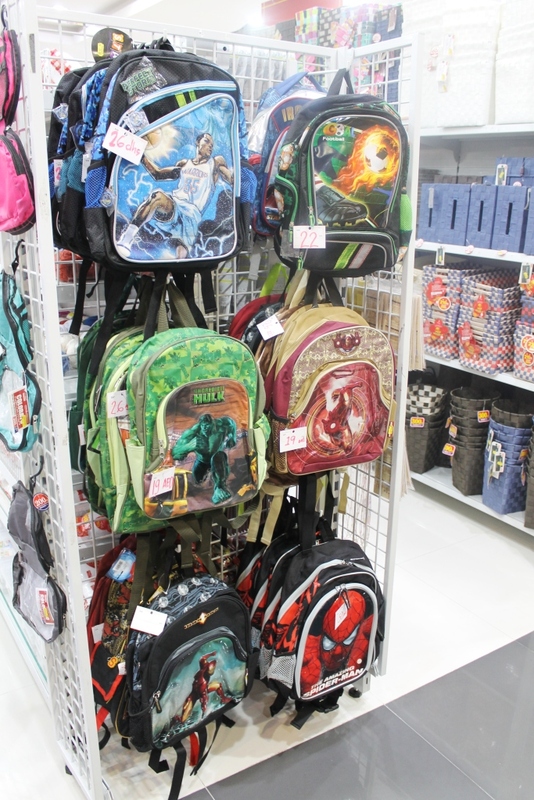 If you are still on the look out for Back to School supplies, or generally unique items for your household, head on over to your local Daiso store. 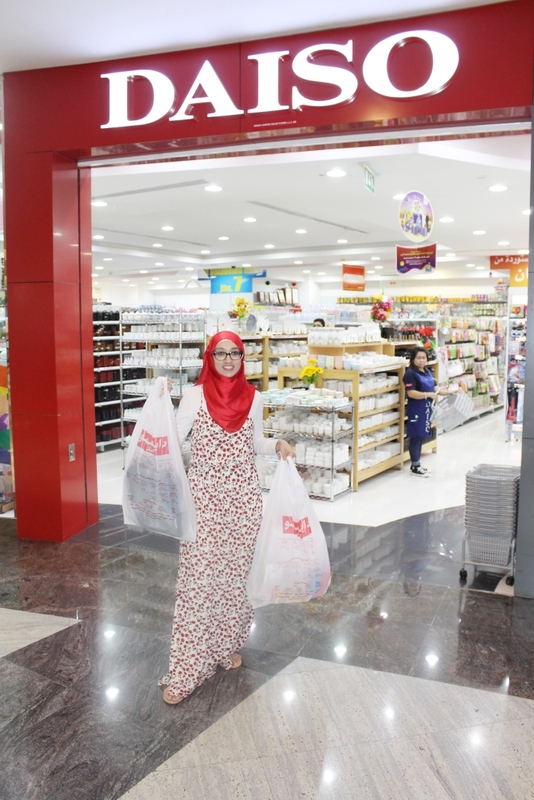 I am positive that you will not be dissapointed, and being a regular Daiso shopper, I can vouch for that! 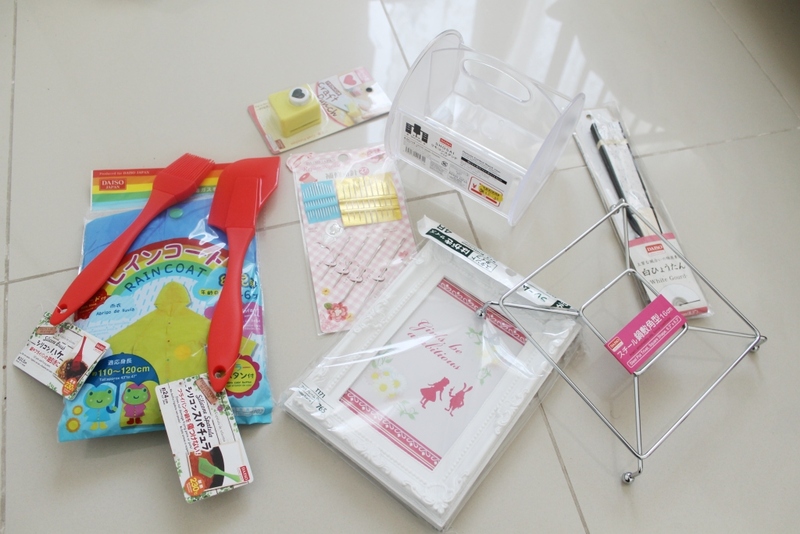 Note: This post is written in collaboration with Daiso. However, all views and opinions expressed above are honest and solely my own.